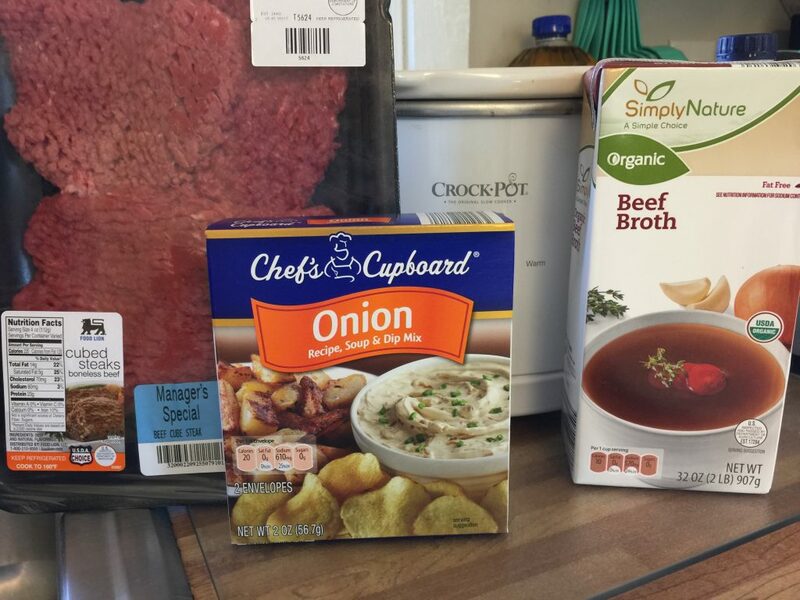 For our third slow cooker installment, I will be making one of my favorite southern dishes — Country Style Steak. 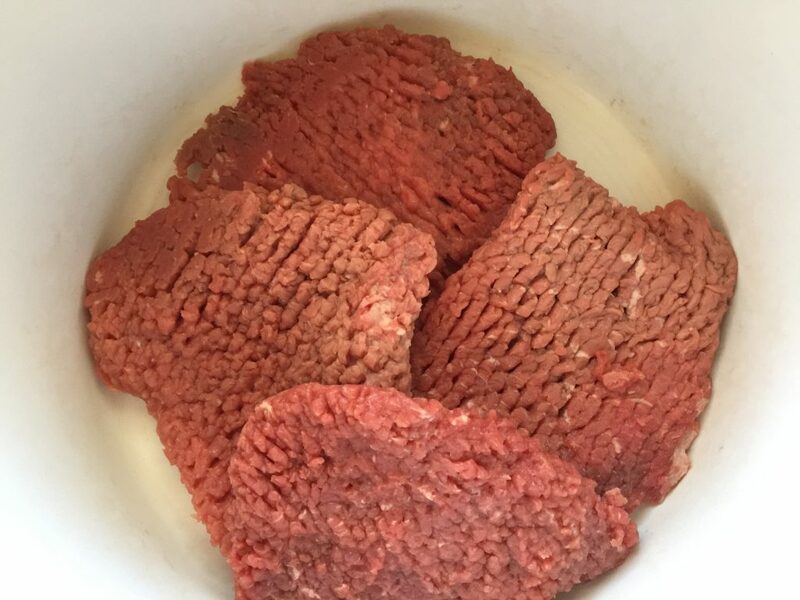 There are different names to the way this meat is prepared — Chicken Fried, Fried Cubed Steak, Country Style. This meat is very inexpensive and not as tender as a t-bone, that is why there are so many variations in cooking it. I usually bread the steaks and brown them in a cast iron skillet before I slow cook them in the oven. But for this recipe, I am going to skip that step. They will be in the crock pot so long, any breading the meat would have on it would get cooked off. In preparation for this dish I pat the pieces dry with a paper towel and then place them in a crock pot that has been sprayed with non-stick cooking spray. Trust me, clean up will be so much easier with the crock pot if you use the spray. I find the liners are more of an expense than they are worth. 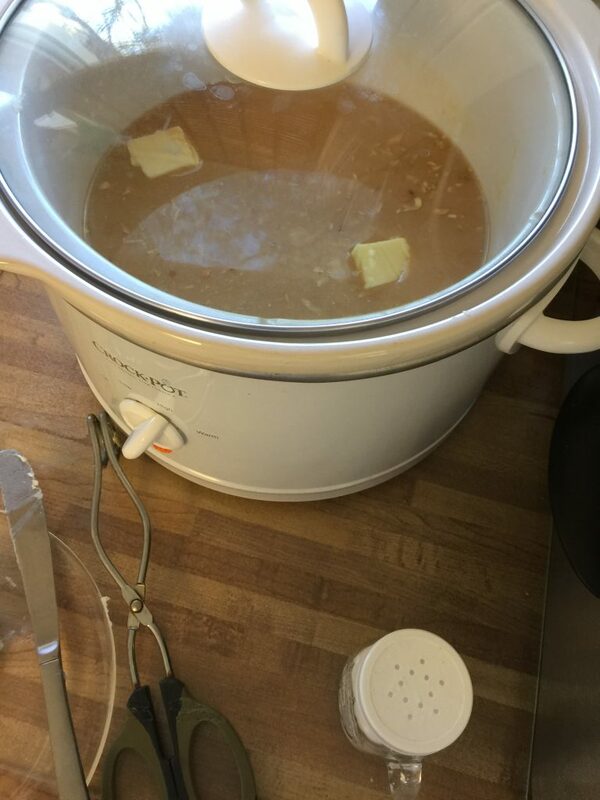 Spray slow cooker with non-stick spray. 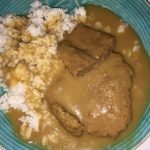 Place cubed steak in slow cooker. 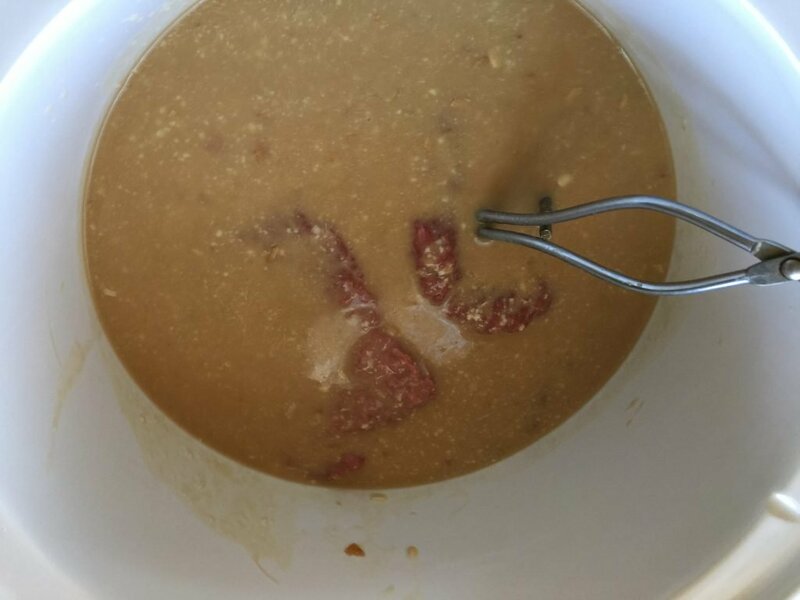 In separate bowl, mix all the other ingredients well then pour over the steaks. Make sure liquid completely covers all the meat. If not, you may add water until it does. Cook on High for 4 hours or Low for 8. 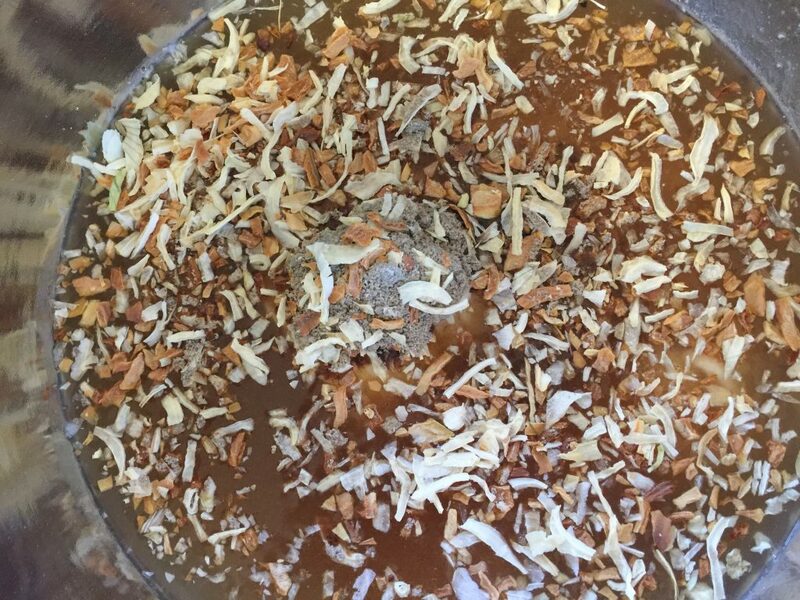 Stir once while cooking. You may remove meat pieces and drain onion if desired and thicken liquid with a teaspoon of cornstarch mixed in a small cup of warm water. When cornstarch is dissolved, whisk in the meat liquid until all is dissolved. The next step is to add the rest of the ingredients in a separate bowl. I like doing this separate because it gets mixed better this way. 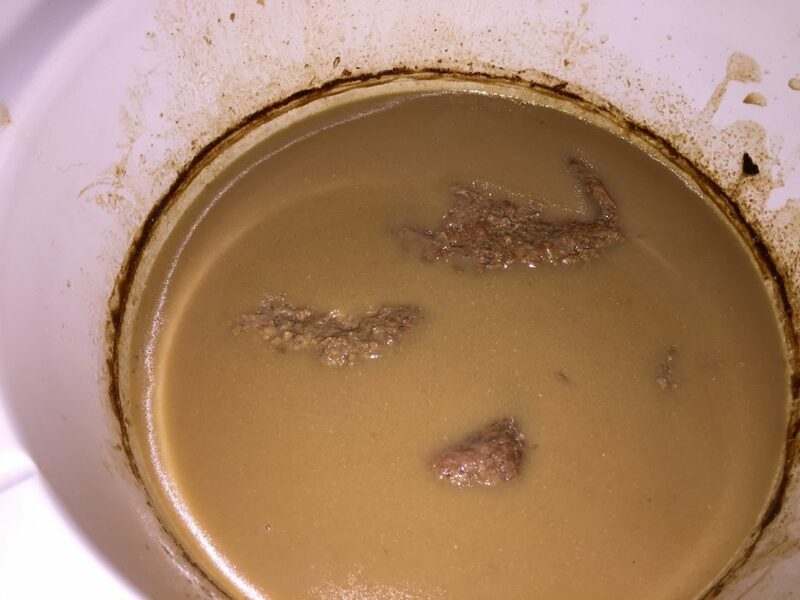 Once everything is mixed together, pour over your meat. It is important that the meat is completely covered with the liquid. If it is not, it is quite alright to add water until all the meat is covered. This is to insure it doesn’t dry out. You will see in the image below how a few of the pieces are poking out above the liquid. Those will be dried out if they aren’t under the water so make sure the get covered. In this image you will see everything is well covered and I have added a little more salt and, oops, you caught my favorite sneaky addition, butter. I don’t think you can ever have enough! These steaks were very lean and since I didn’t fry them, I thought they could use just a little. This needs to cook 8 hours on low or 4 hours on high. 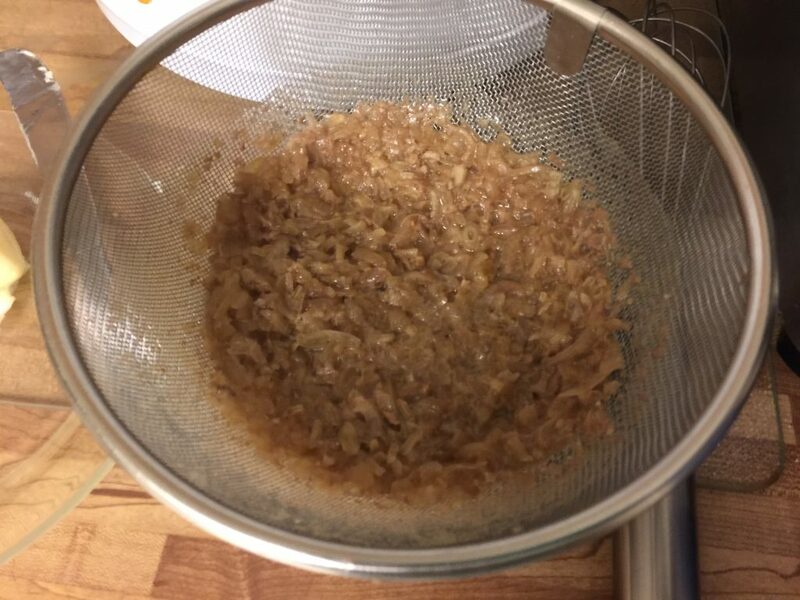 If you choose to make gravy, It will be easier to remove the meat and strain the onions from the liquid. 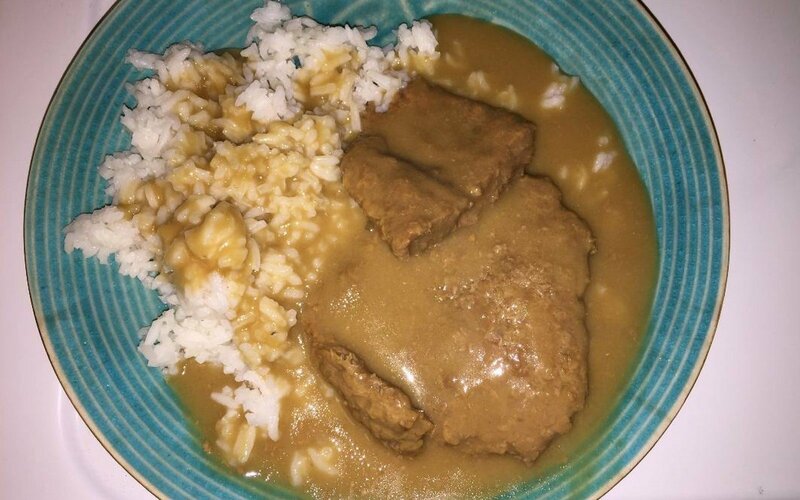 Once the meat is done, I like to make gravy with the steak. Since this liquid is a little watery, I will thicken it up with cornstarch. I like using it better than flour because it dissolves better. I will take about a tablespoon and place it in roughly one cup of warm water. Once this has been dissolved I pour in the meat liquid. 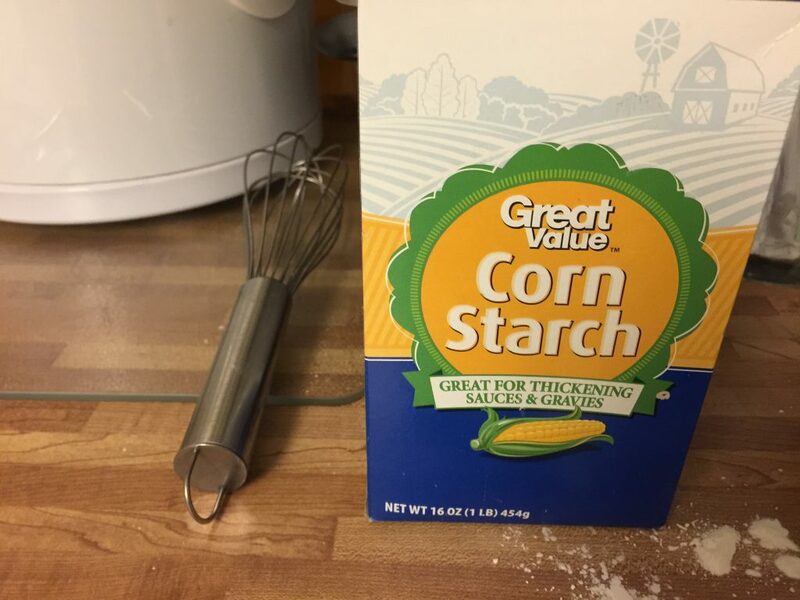 Using a whisk, stir the cornstarch mixture and liquid until they are blended. I then add the meat back in. Now all you need is rice or mashed potatoes. I had rice in the cupboard so rice it is. This is an easy, affordable winter dish that is truly a comfort your family will grow to love.